Your furnace is probably not something that comes to mind immediately when shopping for or renovating a home. However, there are many types of furnaces available, each of which coming with their own set of pros and cons. Knowing the various types of furnaces can help you make a more informed decision, and allow you to tailor your home to your own needs. To help answer question ‘What Are The Different Types of Furnaces’, we’ve outlined a few of the most common systems below. Single-Stage: Single-stage gas furnaces are the least efficient of the three, with an average efficiency rating of around 80 percent. With this type of furnace, the gas is only able to flow at a high rate. Two-Stage: Two-stage gas furnaces are able to regulate the gases flow at two different rates: high and low. This makes them more efficient than the single-stage furnaces, with efficiency ratings closer to 90 percent. Ultimately, a choice here will largely depend on the size of your home. This is the most efficient type of gas furnace available. Modulating furnaces are able to adjust the gas flow by percentage, depending on the home’s heating needs and the size of the home. This equates to the least wasted gas and the most accurately regulated temperatures. Older homes are typically fitted with oil furnaces, which are often being replaced by gas furnaces as a more efficient alternative. Oil furnaces, however, are similarly becoming more efficient as upgrades and advancements are made. The type of oil furnace you’d need would depend on details such as what type of fuel would be used and the placement of the ducts in your home. The two main types of oil burning furnaces are: Up Flow and Down Flow. Most homes with oil furnaces will have up flow furnaces. This means that the air is pulled in from the bottom of the furnace, passing through the heat of the burning oil on its way up. The hot air is then pumped into the ducts through the top of the furnace. For homes that are built on concrete slab foundations, the ductwork is often built into the foundation. These types of homes typically have down flow furnaces, which work similarly to the up flow, but in the opposite direction. Many people still opt to heat their home with wood. This can be for many reasons, including its lower environmental impact than gas or fuel. There are central wood furnace systems available, along with various types of wood stoves. Both heating systems involve burning wood to heat the air. Central wood furnaces push air through ducts to the rest of the house, while wood stoves only radiate the heat, meaning they typically only heat the room they are located in. 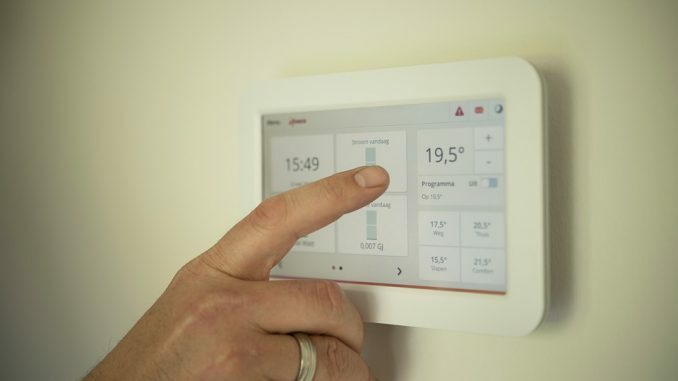 As you can see, you have a few options when it comes to how you would like to heat your home. Understanding what the different kinds of furnaces are and factors that determine the type and size of furnace you need can help you choose the furnace that most suits your needs, whether it be cost, efficiency, build type, or environmental impact.